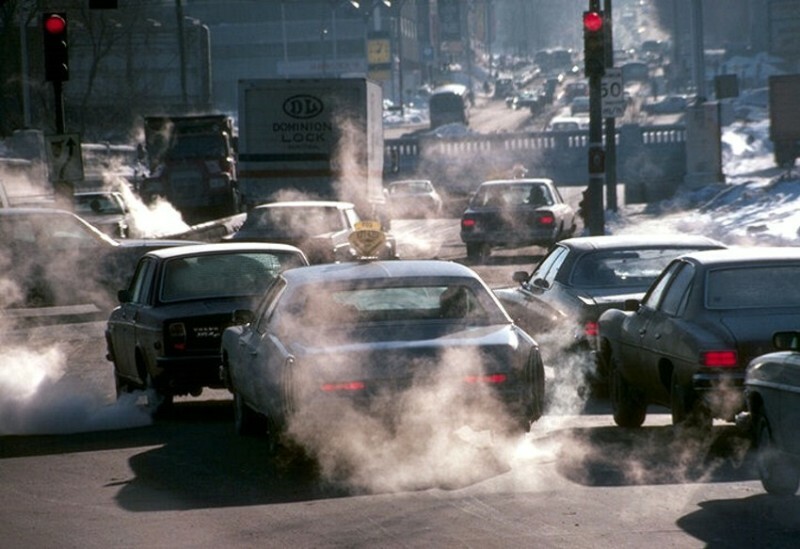 Study links air pollution to blood vessel damage among young, healthy adults. Air pollution is known to contribute to cardiovascular disease and related deaths. In 2004, the American Heart Association released a scientific statement, updated in 2010, warning of the risk and recommending that people talk to their doctor about avoiding exposure to fine particulate matter air pollution, the tiny pieces of solid or liquid pollution emitted from motor vehicles, factories, power plants, fires, and smoking, specific to their area. What remained unclear, however, was how air pollution actually affects the blood vessels to increase the risk of disease. Now, a study from researchers led by Brigham Young University shows that fine particulate matter air pollution, measuring approximately PM2.5, may be associated with blood vessel damage and inflammation among young, healthy adults. The team state that their results substantially expand the understanding of how air pollution contributes to cardiovascular disease by showing that exposure is associated with a cascade of adverse effects. The opensource study is published in the journal Circulation Research. Previous studies show that exposure to fine particulate matter air pollution increases the risk of developing cardiovascular disease and premature cardiovascular mortality. Recent studies indicate that chronic exposure to PM2.5 may contribute to the initiation and progression of atherosclerosis, hypertension, and type 2 diabetes, and is associated with increased risk of adverse cardiovascular outcomes, resulting in reduced life expectancy. In addition, short-term exposures to PM2.5 are associated with increased daily mortality, acute coronary events and ischemic stroke, especially in individuals with pre-existing atherosclerotic disease. Despite extensive investigations, it is unclear how inhaled PM2.5 is related to blood vessel lesion formation and acute coronary events. The current study shows that periodic exposure to fine particulate matter is associated with several abnormal changes in the blood that are markers for cardiovascular disease. The current study followed 72 healthy, nonsmoking, adults in Provo, Utah. Their average age was 23, most were white, and more than half were male. During the winters of 2013, 2014, and 2015, participants provided blood samples, which researchers then tested for markers of cardiovascular disease. Due to the unique weather and geographical features of Provo, they were able to evaluate these informative blood markers with various levels of air pollution. Results show that as air pollution rose small, micro-particles indicating cell injury and death significantly increased in number, and levels of proteins that inhibit blood vessel growth increased. Data findings show that proteins which signify blood-vessel inflammation also showed significant increases. The team surmise their findings suggest that living in a polluted environment could promote high blood pressure, heart disease, and stroke more pervasively and at an earlier stage than previously thought. For the future, the researchers state that although it is known that air pollution can trigger heart attacks or strokes in susceptible, high-risk individuals, the finding that it could also affect even seemingly healthy individuals suggests that increased levels of air pollution are of concern to everyone, not just the sick or the elderly.